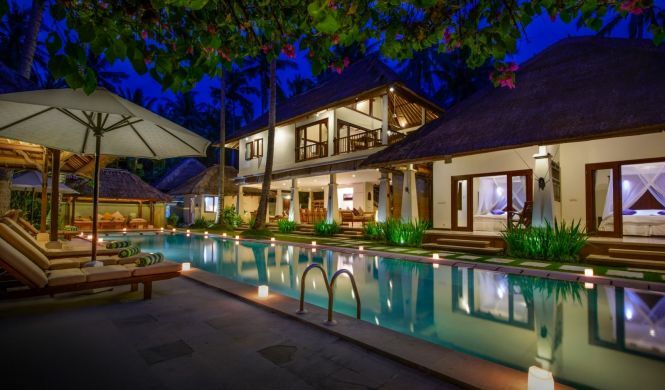 Whilst simply relaxing at Villa Gils is the ultimate indulgence, the rich culture and natural beauty of East Bali awaits you just beyond its doors. "Pasir Putih" is a secret white sandy beach 15min from Villa Gils. Well worth the effort to experience the azure blue waters of this pristine beach. Rent a sun lounge and enjoy a beach massage at sundown. 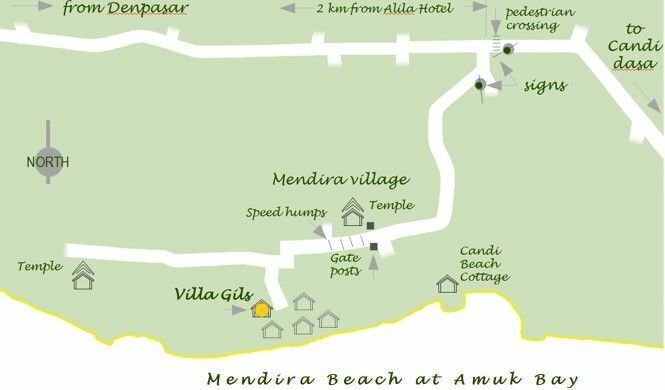 You can snorkel right off the Beach near Villa Gils or venture to nearby snorkelling locations such as Tulamben, Amed, Blue Lagoon or White Sandy Beach. East Bali offers numerous quality dive sites that cater to all level of divers. The dive operators will collect you from the Villa and arrange everything you need for a fasntastic underwater experience. Observe the Bali Aga Villages of Tenganan. Traditional hand-woven baskets and fabrics of the finest craftsmanship are available for admiration and purchase. A short stroll from the Villa there is a lovely restaurant named Amarta, which has stunning views of Amuk Bay and serves some of the best value for money food in East Bali. For an indulgence, visit Seasalt restaurant at Hotel Alila Manggis, be sure to try their signature dish, the Traditional Balinese Megibung. There are also some very good dining options in Candi Dasa and most of the restaurants will collect and return guests to their accommodation. Vincent’s and Rendevous are two worth trying. Alternatively, Villa Gils has an a-la-carte menu with some delicious authentic Balinese dishes if you prefer not to leave the Villa.